‘You – are – a – prefect.’ snarled Hermione. The inspiration for Firewhisky came from a bottle of Fireball, a cinnamon flavoured whisky. While I never did get around to tasting their version, a browse online gave me some direction to make my own blend. I adjusted amounts and left out the chili, leaving me with a smooth, subtle yet spicy blend. Those more daring might enjoy adding back in the chili for a more fiery kick. 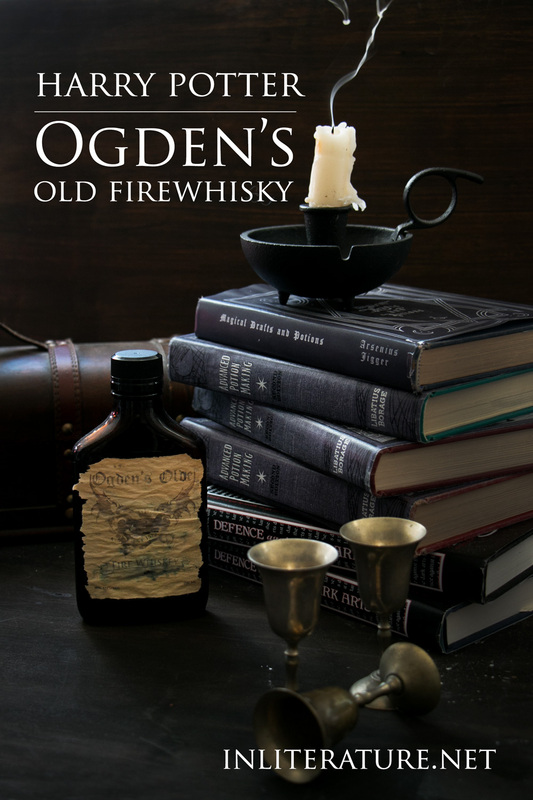 Even if you’re not a fan of whisky, the addition of brown sugar and cinnamon, makes this version of Ogden’s Old Firewhisky very drinkable. Taking a brand new 250ml bottle of Canadian Club whisky, pour just a smidgen out of the bottle to make room for the additional ingredients. Place the cinnamon sticks and the brown sugar into the bottle, close the lid and shake. Let it rest in a dark cupboard for about a week, longer for a more intense flavour. 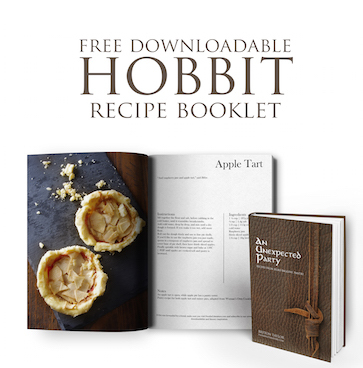 Test taste and adjust sugar to your palate. 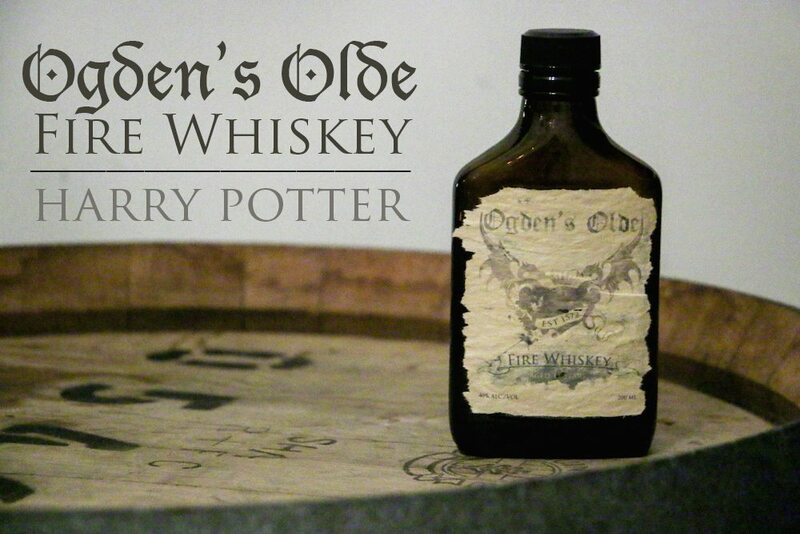 Strain all the ingredients and pour the whisky blend back into the bottle.